The money man has helped the city. Now the city is helping him reach his 10-year employment milestone. After 9½ years as budget director – an eternity for many appointed positions in Baltimore government – Andrew W. Kleine is leaving his $158,000 post. His resignation has not been announced by the Pugh administration, but was disclosed as part of an “overlap of employment” item in this week’s Board of Estimates agenda. 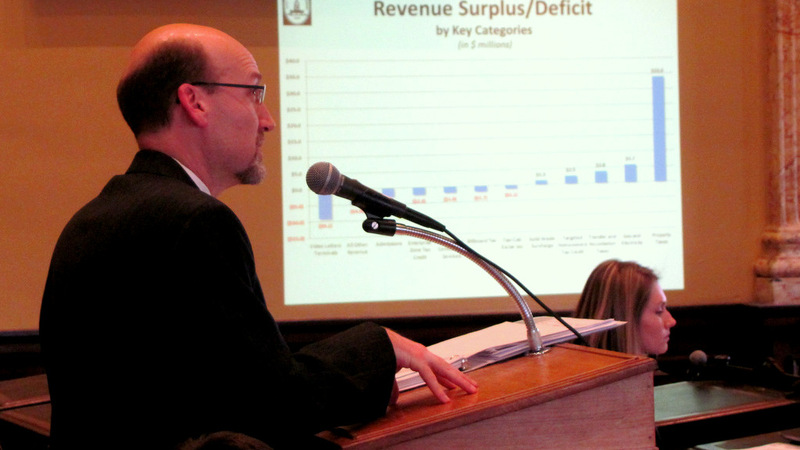 The item calls on the board to elevate Deputy Budget Director Bob Cenname to Kleine’s position, while Kleine continues to work full-time for the city through December 31. The maneuver will cost $5,330.77 as the city fills the vacated deputy budget director position for six weeks. The new deputy director will be Caroline Sturgis, now chief of management services for the Police Department. The reasons for Kleine’s resignation were not stated. He could not be reached tonight. The mayor’s spokesman, Anthony McCarthy, did not respond to a request for comment. Kleine, 47, was appointed to the budget job by Mayor Sheila Dixon in April 2008 after he had worked at the U.S. Department of Transportation and the White House Office of Management and Budget. A self-proclaimed “wonk” with a precise and sometimes feisty manner, Kleine brought a semblance of financial discipline to fiercely independent city departments. He was most proud of “outcome budgeting,” a process he initiated to organize the annual budget around financial resources and to better measure agency performance. He also spearheaded Mayor Stephanie Rawlings-Blake’s 10-year financial plan, which has been credited with reducing the city’s unfunded liabilities by 25% and boosting its bond rating. Likewise, his Lean Government and Innovation Fund initiative was aimed at improving customer service and efficiency. More than 1,000 city employees have received training in “lean thinking” principles. Kleine’s resignation comes in the middle of the fiscal 2019 budget process. Kleine will then use his accrued leave-time to reach his 10th-year anniversary as a city employee in April 2018, a milestone that will boost his pension and other benefits.